The World Showcase Players are just one of the popular shows that closed this week at Epcot (photo & video by Seth Kubersky). As you’ve probably already heard, Walt Disney World has given the pink slip to several popular Epcot World Showcase shows, which held their final performances this week. I spent a stormy Tuesday afternoon catching up with a few of these old favorites with one final viewing, and wanted to share some video of these now-extinct Epcot World Showcase shows. Off Kilter, the popular Canadian Celtic rockers, were unfortunately off duty during my visit. But I captured closing-week performances from three of their compatriots: Spirit of America Fife & Drum Corps, MO’ROCKIN, and World Showcase Players. The Spirit of America Fife & Drum Corps played traditional patriotic tunes from our nation’s founding. Child volunteers participated in a brief parade outside the American Adventure pavilion and were presented with free copies of the Declaration of Independence. The Spirit of America has now marched away, but the Voices of Liberty continue to perform. For 15 years, this lively musical group played original tunes that were apparently inspired by the African Funk movement of the 1970s. MO’ROCKIN were accompanied by belly dancers who encouraged audience participation from younger guests. The group will be replaced by traditional Berber musicians. No word yet if they will still feature belly dancing, or if guests will now have to pay to eat at Restaurant Marrakesh to experience that alluring artform. 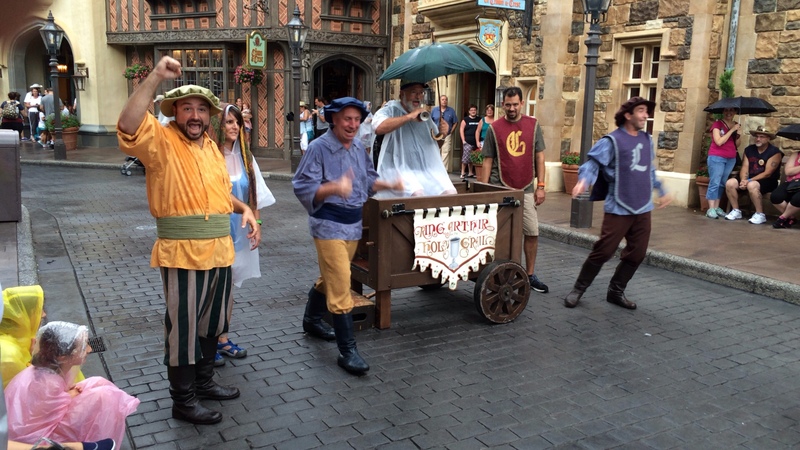 The World Showcase Players, a troupe of improvisational comics who roped audience members into an interactive retelling of the King Arthur legend, is (in my opinion) the biggest loss among the Epcot World Showcase entertainment cancellations. The act originated at a Rennaissance faire and was recruited to Orlando when Epcot first opened, establishing the style of interactive entertainment that was once a staple of Disney parks. Members of the original troupe went on to found DHS’s Streetmosphere (now known as Citizens of Hollywood), Pleasure Island’s Adventurers Club, and downtown Orlando’s SAK Comedy Lab. Stick around to the very end of this rainy video for some truly touching final words that are emblematic of this “end of an era” in Disney entertainment. 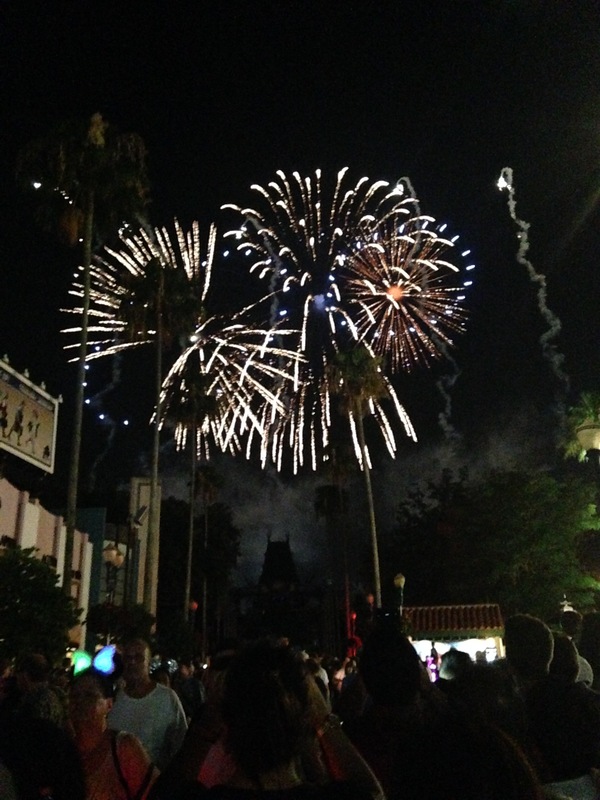 Which now-closed Epcot World Showcase show will you miss the most? Share your memories in the comments below. I am going to miss Off Kilter so much!! They were my absolute favorite! I think they should have asked Disney fans which ones should be replaced. When visiting Epcot on a very cold December day in 2010, I witnessed something that I truly believe exhibited the difference between Disney and so many other vacation locations. The temperature barely made it into the mid-forties that day, and there was a breeze blowing that made it very cold, and kept attendance down that day. I was watching the World Showcase Players, and laughing along with the rest of the crowd. In front of me was an elderly lady in a wheelchair, and she looked like she was getting cold. Halfway through the show, and without missing a beat, one of the players took off the heavy coat he was wearing, and draped it over the elderly woman to keep her warm. The Player kept going through the rest of the show without his jacket, but that elderly lady was surely warmer and enjoyed the show because of that simple, selfless act. Even though that was almost 4 years ago, I still remember it like it was yesterday, and am very sad to see the act come to an end. What a great moment. I would go out of my way to watch the World Showcase Players each trip. Sometimes multiple times a day. On some occasions I would people watch and see people who stumbled across that show for the first time and you could tell loved it. Sad for people who will miss this but even more for people who will never experience it.